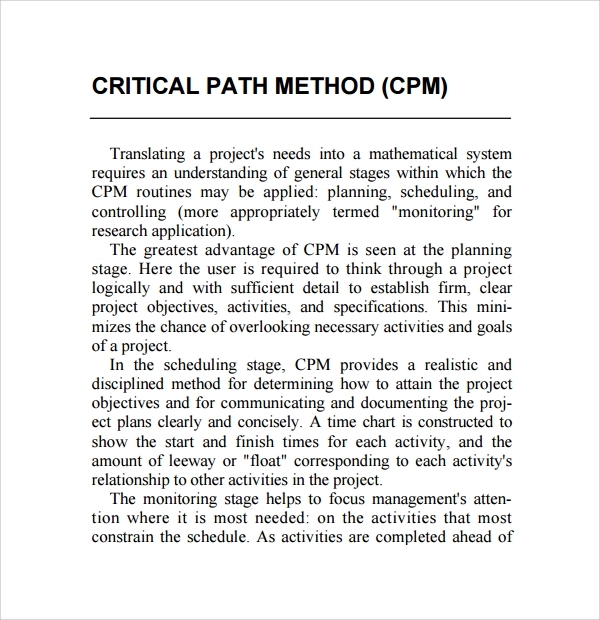 Critical Path Method is a way to provide the project managers to determine, which are the critical tasks and which can task they can delay for a time being and how long. If you are planning for a small project and for this, you need to identify the critical and less critical task to schedule accordingly with the help of an Excel sheet. 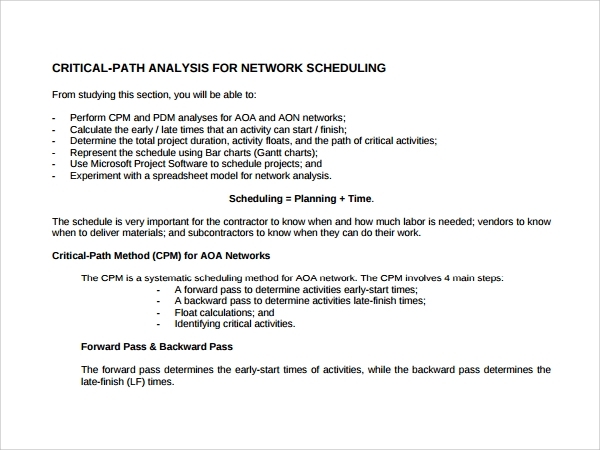 Just copy and paste the data into the required cells and follow some of the guidelines to do a critical path analysis, Character Analysis Template leaving behind no learning curve. 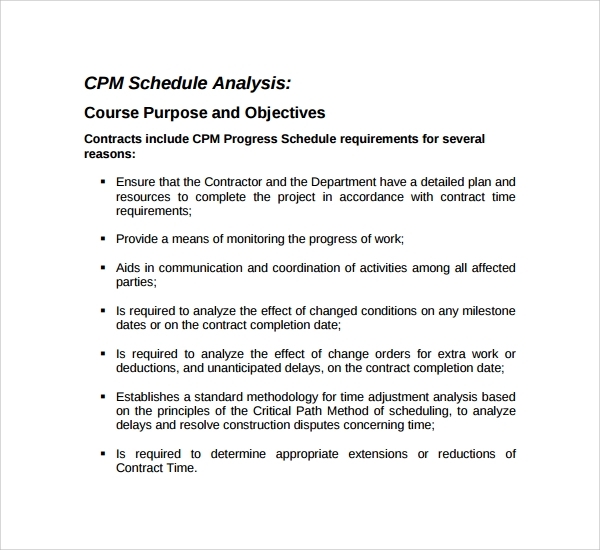 The CMS spreadsheet produces Gantt chart that is similar to Microsoft Project, with some and minor exception. It is easy to use, edit and customize. It is one of the widely used templates, which help to manage the critical aspects of a running project. It comes to the aid of the project manager by segregating the task to critical and less critical and set them according to the time required for delivery. 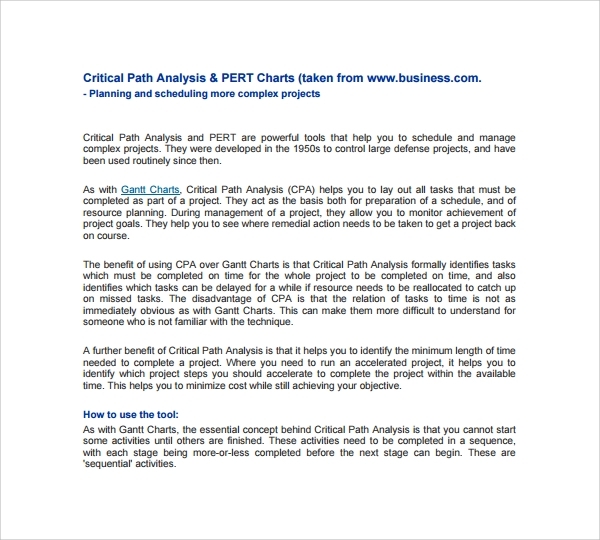 This is a step-by- step method that one takes up in a project to identify the activities in a critical path. It is one of the best approaches to project and scheduling the break in a project, display them in a flowchart, calculate the project duration based on an estimate. It helps to identify the task, which is critical, are crucial about time. This is free to download template format, which can handle the critical assessment of any big or small projects without any hassle. A project manager using this template can easily edit the fields required and set the goals and time required to achieve for a particular project. This spreadsheet integrates PERT algorithm to aid a particular project in its planning. 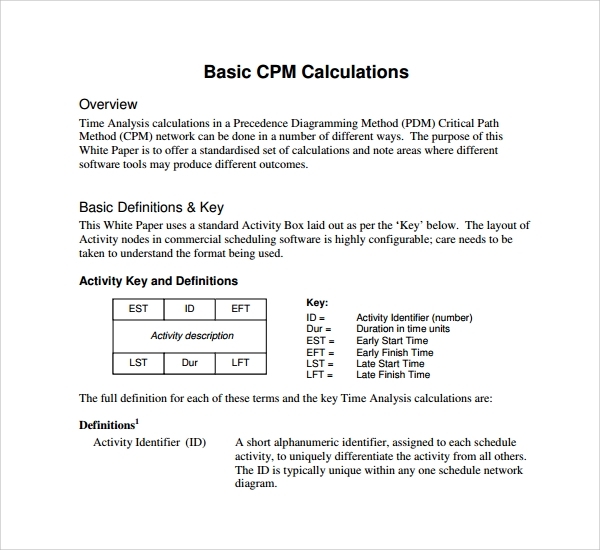 Unlike other normal projects, this spreadsheet lets you define the duration of the task using OMP. You can easily choose the expected time either using Triangular or Beta distribution. The Force Field Analysis Template is easy to use and does not need to enter formulas unlike other Gantt charts and can easily resize the font sizes to get it to display the way you want. 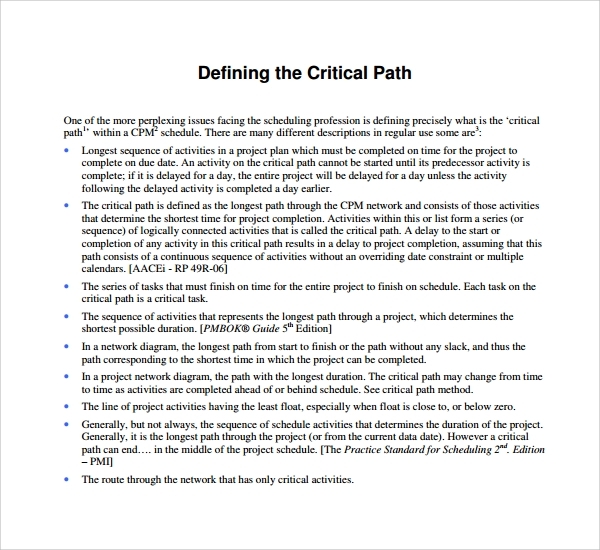 Why Do I Need a Critical Path Method Template? 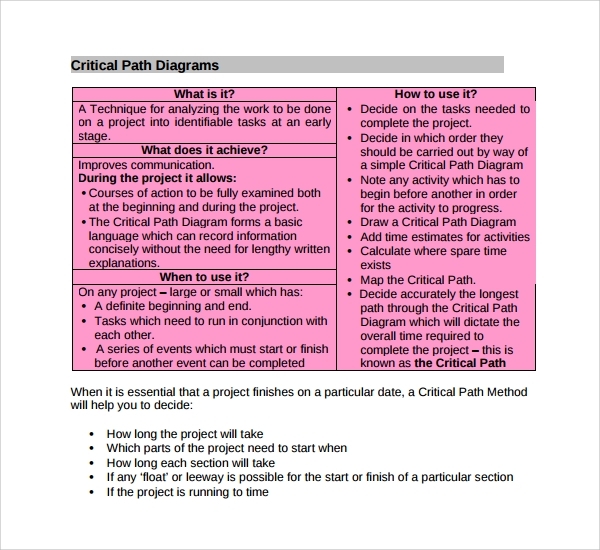 Well, we need a critical path method template to ease the task of the project management and make sure that we execute every task just on time. The templates help to identify the most important tasks; help to reduce the timelines involved in a project, and helps to compare the planned with the original. • When you are in the process to keep on adding tasks and if you are wondering how are the tasks marked as critical, one simply needs to see if there are any tasks highlighted yellow. • Do make sure that all the tasks have the right successors before the algorithm predicts everything correctly and predicts the critical path. 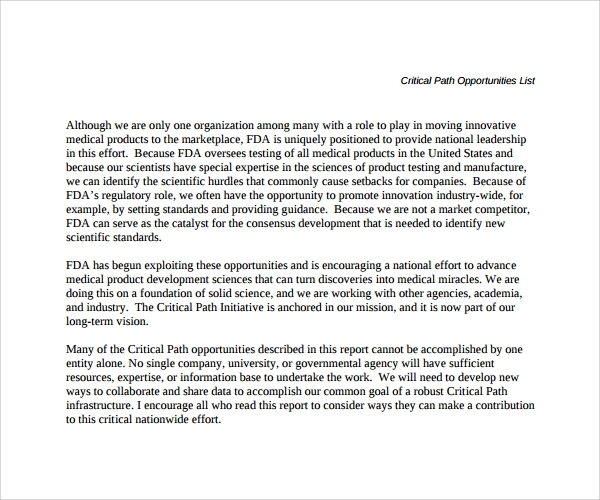 How Do You Create a Critical Path Method Template? It involves only a few steps and you are done with. In the first phase, you need to specify each task in the required fields. In the next phase, you can establish the dependencies, followed by the drawing of network diagram and estimating completion time. Assess and update the critical path to show in the display. 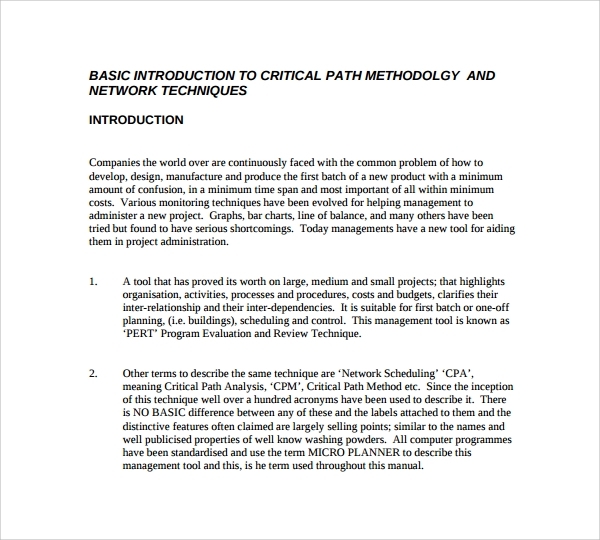 Conclusion : Critical Path Method Template is available in the form of simple Excel. This spreadsheet is easy to customize, edit and free to download. Even you can enjoy their premium versions as well that comes loaded with features. The templates found here come with 99.9% success rate and bring advantage to both upper and lower versions.